My grandmothers must be scratching their heads in heaven as they see how proud I am that I can make pretty hard-boiled eggs. First of all, for them it was a most mundane and ordinary task. Second, why would anyone care that an egg is “pretty”. 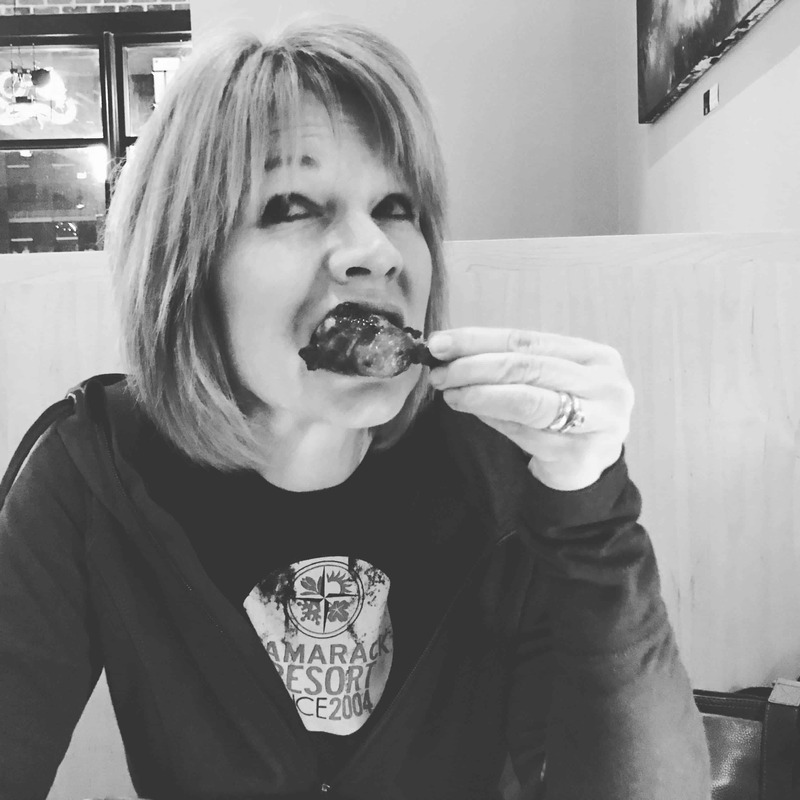 As long as it tastes good, who cares? I do! It’s my obsessive-compulsive-analytical side that gets all fired up when things that can turn out a certain way, don’t. Hard boiled eggs have been my food nemesis. Cooking them is not the issue. Peeling them is the issue. 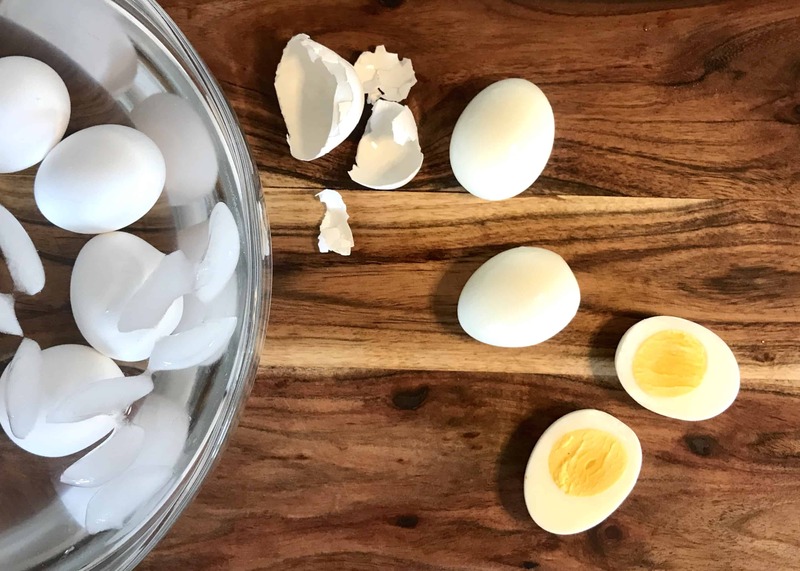 Until 3 years ago, I would rejoice if I could get one egg, of the dozen I had boiled, to peel cleanly … no cracks, no divots, no bumps. Now, I can count on at least 10 of the 12 to be perfect (and the other two still get a passing grade). My youngest son started working in the kitchen of a super-cool restaurant and he was taught how to boil the eggs. He came home one weekend and asked if he could make some. I was happy he knew how. When they were cooked and cooled, he said “do you want to see a trick?” and proceeded to peel one of the eggs, not only to perfection, but WITH ONE HAND! The FIRST step in the process did not come from the restaurant: take the eggs out of the refrigerator one hour before boiling. What this does is bring the eggs to room temperature and reduce the chance of the shell cracking when the egg is lowered into the boiling water. Cracking is going to happen occasionally, but this helps reduce the odds. Heat a large pan of water to boiling. There should be enough water in the pan so all the eggs have an inch of water above them when added. When boiling, add 1 teaspoon of baking soda to the water. This, according to several internet searches, will balance the pH (alkalinity/acidity) levels which … (chemistry inserted here) … to make the shell easier to remove. Gently lower the eggs into the pot, return water to boiling and cook for 12 minutes. 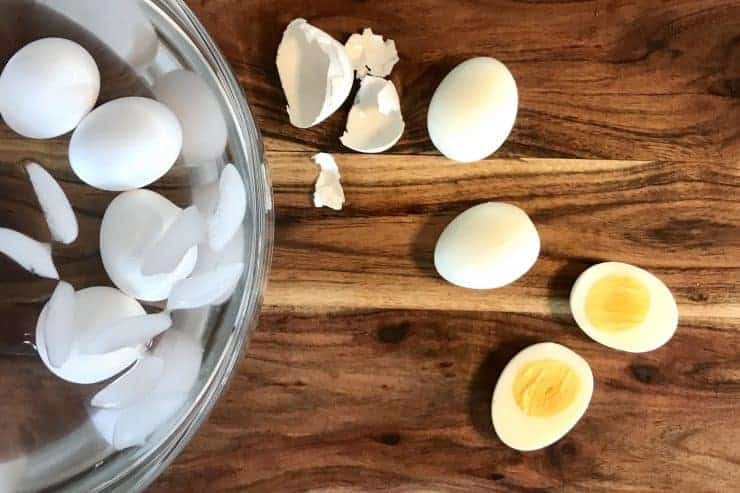 While the eggs are boiling, get a large bowl and fill it with cold water. Just before the eggs are done, add some ice cubes to the cold water. When the eggs are done, gently remove them from the boiling water and lower into the ice water. Gently move them around in the ice water and allow to cool at least 10 minutes. Remove an egg from the ice water and peel it, cracking it once or twice on each “end” and a few times on the side. Place palm over egg and apply light pressure as you roll it forward and backward. 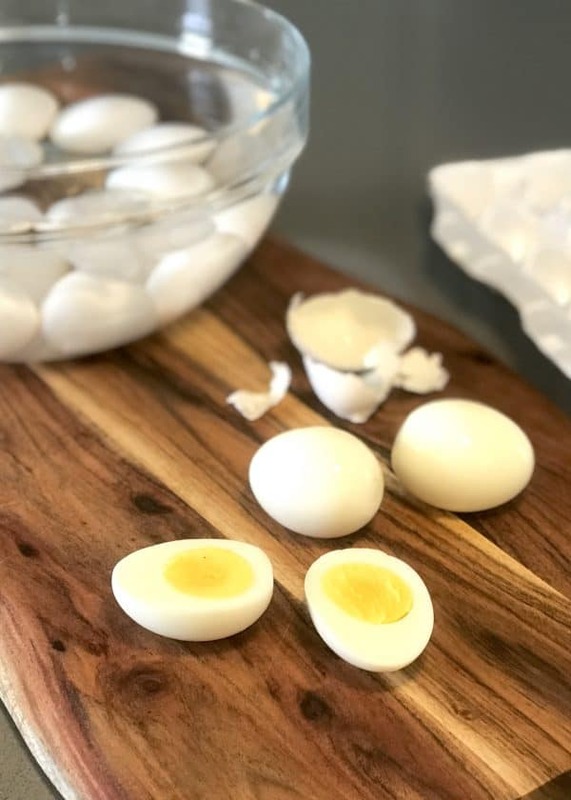 Starting at one end, peel back the shell and try to get under the clear membrane between the shell and the egg white as you peel the rest of the egg. Rinse with cold water and place on a towel to remove excess water. Continue with the remaining eggs. NOTE ONE: These instructions are based on 12-14 eggs. If boiling fewer eggs in a smaller pan, use 1/2 teaspoon of baking soda. If boiling more in a bigger pan, increase the soda. A good rule of thumb would be 1/2 teaspoon of baking soda for every quart of water. NOTE TWO: I use “Large Grade A” eggs from the grocery store. 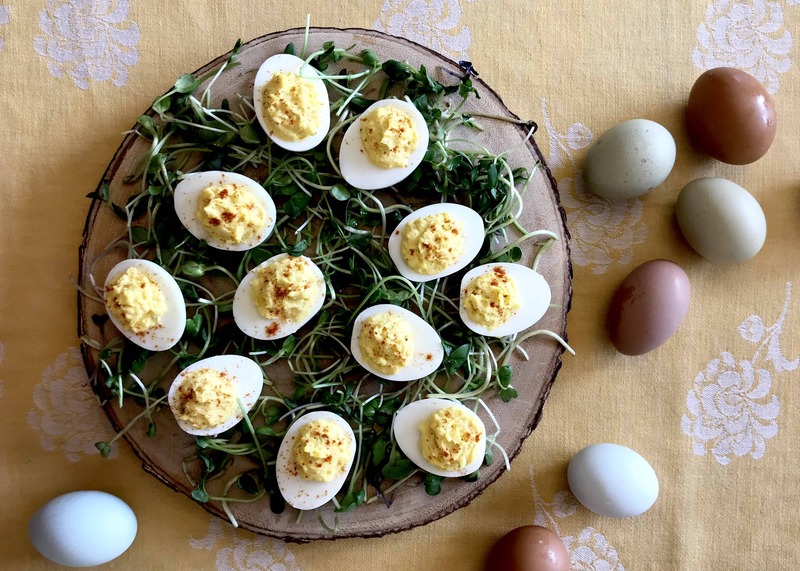 Eggs of different sizes and those “farm raised” may require adjustments to the cooking times. If I am going to make deviled eggs, I stack the odds by boiling 14 eggs. Two extra eggs give me a little insurance that I will have 24 excellent-looking egg halves to fill. Here’s the link to my Traditional Deviled Eggs “recipe”. You’ll notice I restrained from using any of those corny egg jokes in this post. You know the ones … “eggstra” or “eggcelent”. 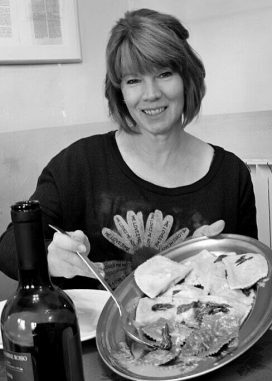 I’d rather like to think that my enthusiasm for food, taste and appearance, actually makes my grandmothers proud. They may not have cared as much about how the food looked but I know they cared that the people they fed were happy and loved. 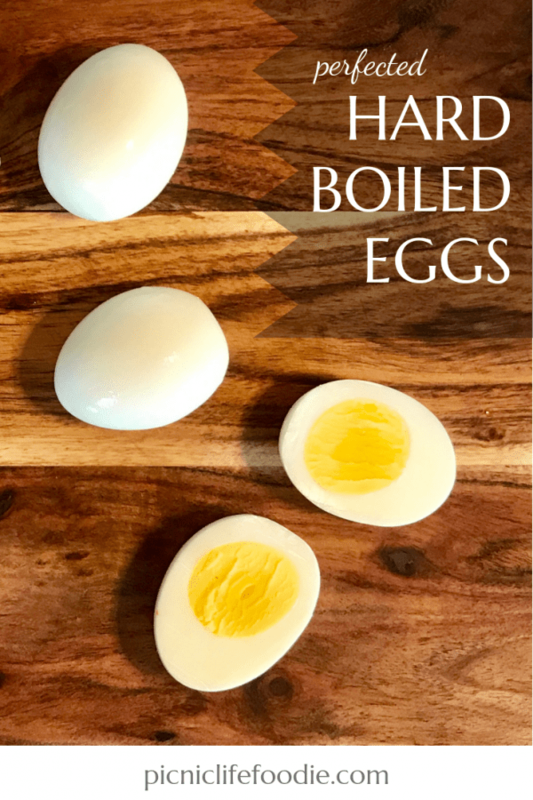 Hard boiled eggs are a labor of love for me as I don’t personally like eating them. I love serving them and now, I even love making them! I love what you do, Anita! It’s not like I was holding out on you!! I was struggling too!